Depression is a state of low mood and aversion to activity that can affect a person’s thoughts, behavior, feelings and physical well-being. It is a very real illness that requires treatment and can hinder your ability to work as well as enjoy your daily life. If you suffer from severe, chronic depression that prevents you from working, you could qualify for Social Security Benefits because of your disability. Call one of our social security benefit attorneys for a free case review evaluation. 803.252.4800. Even if you do not hire us, we can make sure you are on the right path while you’re recovering. 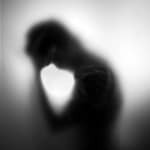 If you believe you have a depressive disorder, you should see a doctor as soon as possible. DOES DEPRESSION QUALIFY AS A DISABILITY? Mental illnesses are more difficult to reveal than other types of medical conditions, which can be seen on an x-ray or in the results of a blood test. It is important to see your physician on a regular basis so an accurate and complete record of your illness, whatever type it is, is available. Our attorneys and staff will help you prepare a claim or appeal that demonstrates to the Social Security Administration that your depression is severe enough to prevent you from continuing your previous employment, or finding other substantial work, under the SSA’s five step process of determining eligibility social security benefits. Contact us today. 803.252.4800.